Do you want to get paid for a service or product you offer, without needing to create an invoice every time? Checkout does just that! You can probably think of lots of situations where it makes sense for your business to get paid up front. Maybe you’re taking a deposit on a long-term project, or you want to offer your clients the ability to purchase a package offer or a discount bundle. Checkout works by creating a unique payment link that you can provide your customers, or post on your business’s website or Facebook page. When they click the link, your clients can pay you with their credit card, and they’ll automatically get a receipt once payment is successfully processed. 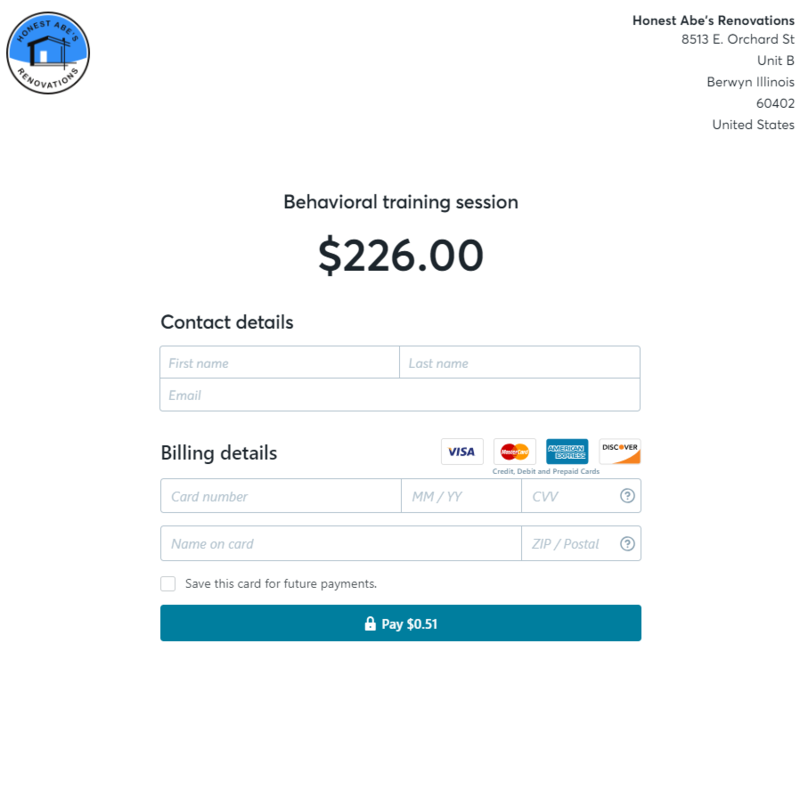 You can create as many checkouts as you need for different services/products – for example if you charge $45 for a tap class, but $60 for a hip-hop class, you can create a tap checkout and a hip-hop checkout. If you want to offer a deal where your clients can take both classes for $95, you can create a checkout for that too! Sound good? Let’s dive into the how-to. To create your first checkout, click on Sales > Checkouts, and then click the New Checkout button. This is where you enter all the information about the service or product – what it’s called, how much it costs, and sales tax. There’s also a space to leave a message for your clients, which they’ll see after they make a successful payment. 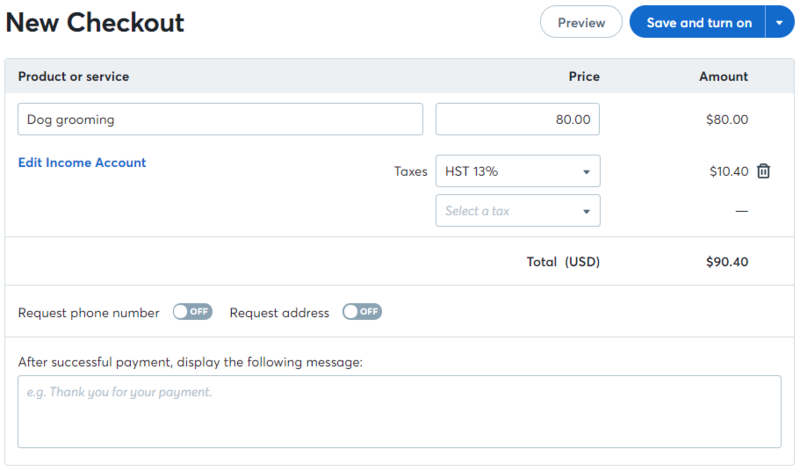 You can also toggle to request that customers provide their contact information, so you can get in touch with them after payment. Once you’ve entered all the details, click Publish, and you’ll see a unique link to that checkout that you can share with anyone who wants to pay you. To see a list of all the checkouts you’ve created, just click on Sales > Checkouts again. From here, you can edit or turn off any existing checkouts, and grab the link if you need to share it again! “Turning off” a checkout takes that checkout offline, and the payment link will no longer work. You can turn a checkout back on at any time by clicking Turn On. When your client clicks the link, they’ll be taken to a page where they can enter their credit card information, and get a receipt after successful payment. Want to see the payments you've processed with Checkout? You can see all Checkout payments, declined/failed payments, and refunds under Sales > Payments. Click on a payment, then on Show Order to see the payment details. If you need to issue a refund, click on the payment, and then on the refund button. Enter a reason for the refund, and any internal notes you want to record for that transaction. Your customer will see the reason you list for the refund, but any internal notes are only visible to you. You’re getting paid in advance. Check back here for updates – more exciting Checkout features are on the horizon!